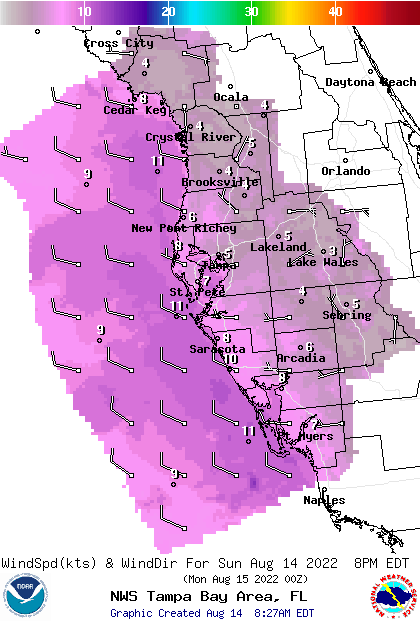 Tonight..South winds 5 to 10 knots then becoming southwest around 15 knots after midnight. Seas 2 to 3 feet. Bay and inland waters a moderate chop. A slight chance of Thunderstorms. 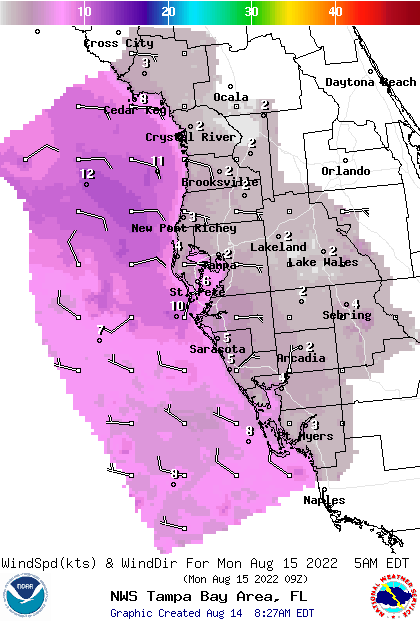 Friday..West winds around 15 knots then becoming northwest late in the afternoon. Seas 2 to 3 feet. Bay and inland waters a moderate chop. Showers likely and a slight chance of Thunderstorms. Friday night..Northwest winds around 15 knots diminishing to 5 to 10 knots late in the evening, then becoming north around 15 knots after midnight. Seas 2 to 3 feet. Bay and inland waters a moderate chop. Saturday..Northeast winds around 15 knots diminishing to 5 to 10 knots in the late morning and early afternoon, then becoming northwest late in the afternoon. Seas 2 to 3 feet. Bay and inland waters a moderate chop. 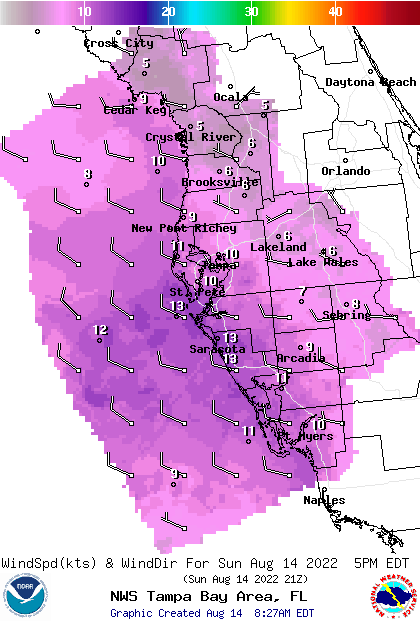 Saturday night..Northwest winds around 10 knots then becoming east after midnight. Seas 2 feet. Bay and inland waters a light chop. Sunday..Southeast winds around 10 knots then becoming southwest around 5 knots early in the afternoon, then becoming west around 5 knots late in the afternoon. Seas 2 feet. Bay and inland waters a light chop. Monday..East winds around 10 knots diminishing to around 5 knots early in the afternoon, then becoming northeast around 10 knots late in the afternoon. Seas 2 feet or less. Bay and inland waters a light chop. Tuesday..East winds around 10 knots. Seas 2 feet. Bay and inland waters a light chop. 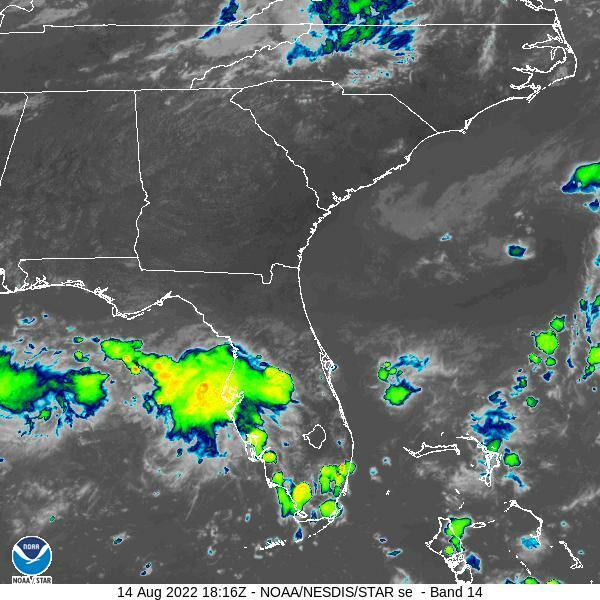 Synopsis.. High pressure across the east gulf of mexico from the atlantic this afternoon slides east tonight as a cold front approaches from the west. This front reaches the coastal waters early Friday and moves onshore during the day then stalls over or offshore south florida during the weekend...as weak high pressure settles in along the northern gulf coast. This high tracks out over the atlantic and strengthens early in the week while stretching back across the gulf of mexico. during the morning and afternoon. highs climbing into the upper 80s to around 90 each afternoon. winds become southerly aft 03-05z then SW and gusty aft 14z. reaches back to the gulf. with the minimum rh staying above critical levels.